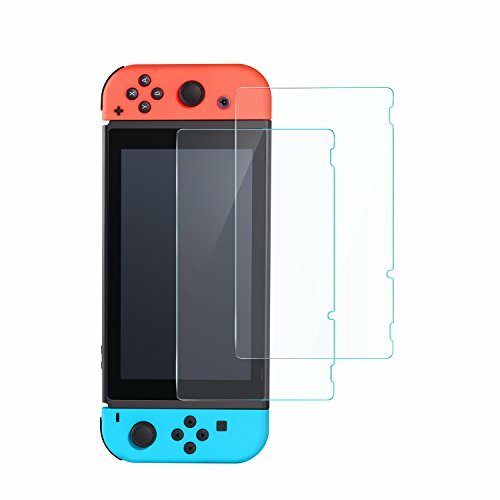 Unlike plastic PET screen protectors, GlassGuard is crafted from premium tempered glass, allowing fingers to glide with pixel-perfect sensitivity. Showcase your games in crisp resolution, with 99.99% screen transparency. Precision, razor-slim design (0.3mm) ensures a perfect, lightweight fit. Boasting an industry-high 9H hardness, GlassGuard provides defense in any environment. Innovative engineering offers anti-fingerprint, anti-oil and anti-glare properties, keeping your screen looking beautiful. ...It's like adding +20 DEF to your Switch's stats. Strong adhesive and easy install instructions ensure complete, seamless integration with your Nintendo Switch. No peeling, no bubbles and no hindering of your gaming experience. • Your screen protector sustains wear and tear or scratches during normal use (not including damage caused by drops).